INVESTOR PROFILE: NZPIF 2018 landlord of the year Leilani Driessen says landlording has parallels to parenting and being a landlord has enabled her to be present for her kids. Growing up in a Housing NZ home in Auckland, investor Leilani Driessen always knew she wanted to own her own property. When she was only a teenager she’d point out house ads in the newspaper to her mum, saying “Mum, why don’t we buy this?”. Leilani’s mum also dreamt of owning her own place, but as a single mother of two children on the Domestic Purposes Benefit, it wasn’t a realistic goal at the time. Her mum did go on to buy a home in West Auckland when she was 50, which was “huge for our family”, but the drive to own her own place never left Leilani. Her interest in property lead her to read property investment titles in her early twenties and it became clear to her that she wanted to earn a passive income from property sometime in the future. So, in 2007, a year after she met her future husband Emil Driessen, they purchased a rental property in Tauranga. But while the intent to grow an investment portfolio was there, the strategy wasn’t and Leilani calls the property “an emotional buy”. Around the same time, Leilani’s mum passed away and her home was passed on to her two children and Leilani purchased her brother’s half of the Henderson unit from him. She made plans to move to Australia with Emil with the aim of saving as much money as they could so they could return home with a house deposit for their own home. After several years of working hard and saving as much as they, the Driessens returned home to New Zealand and settled in the Hawke’s Bay. After eight months renting they bought their own home with the deposit they’d saved. They also still had their two out-of-town rental properties. 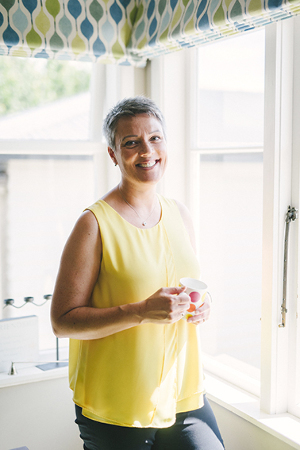 But after joining the local Property Investors Association, Leilani had a re-think and sold the two rentals – replacing them with three rentals closer to home. She also took on the property management of their portfolio. And it has paid off: At the recent NZPIF conference, Leilani scooped the coveted title of landlord of the year. To read more about Leilani’s property journey and landlording tips, click here to get the digital issue of NZ Property Investor magazine.